Spirituality Science – Beyond Good and Evil: Friedrich Wilhelm Nietzsche(1844-1900), German philosopher introduced the concept of “Life as Will to Power.” He explained his Moral Philosophy in his books, ‘Beyond Good and Evil : Prelude to a Philosophy of the Future'(1886), and ‘On the Genealogy of Morals'(1887). I define ‘Spirituality Science’ – ‘Adhyatma Vidya'(The Knowledge of Spiritual Self) as an investigation of the spiritual nature of corporeal or material substances. I must clarify that I am not seeking to discover a soul or a spirit that could have existence independent of man’s physical being. My inquiry pertains to the relationship between soul, spirit, and human body. When I speak of man as a Spiritual Being, the truth or falsity of my proposition depends on the fact of man’s having a corporeal substance that is of spiritual nature. The structure and the behavior of things contribute to their individual being, and function. In my view, the ability called discernment, the capacity to make a distinction between good and evil is a spiritual function. Good is a property of being or existence and hence it provides the direction of conduct and behavior that support self-preservation. The specific qualities of the maxims that define the difference between good and evil are Peace, Harmony, and Tranquility. The term evil is the opposite of good. Evil is often associated with violence, agitation, disharmony, disturbance, confusion, and unruly behavior or conduct. Life comes into existence when matter and energy come together. The human being comes to life when the body matter uses its potentiality or power to acquire energy and matter from its external environment. This power to exploit matter and energy for the establishment and sustaining existence is called the power of “Nutrition.” It demands the operation of a principle called discernment, a fundamental, or primary function of knowing what is good or bad for the purposes of self-preservation. Spirituality Science – Beyond Good and Evil: Nietzsche described Life as “Will to Power”, which is precisely the “Will to Life.” In Physiology, the term that can be used is “NUTRITION”, the Power with which the living corporeal substance called Protoplasm or Cytoplasm exploits matter and energy available from its external environment. The term ‘will’ denotes the power of choice and deliberate action, the power of controlling one’s own actions. The desire, the disposition, the attitude, the purpose, a reasoned choice, or decision to influence actions come under the purview of the term ‘will’. While describing actions, we may have to make a careful distinction between living functions and the behavior of the organism in response to other stimuli including mental stimuli. The living functions do not depend upon mental stimuli. Man may use his ‘will power’ to find food to keep his existence. But, the living function called ‘Nutrition’ does not depend upon such ‘will power’ or some other mental stimulus. However, the Power of Nutrition does require the operation of the principle called discernment of good and evil, the choice between right and wrong in the context of self-preservation or existence. This function is dependent upon the spiritual nature of man’s corporeal substance. Nietzsche correctly observed that life is associated with an instinct for growth and durability. 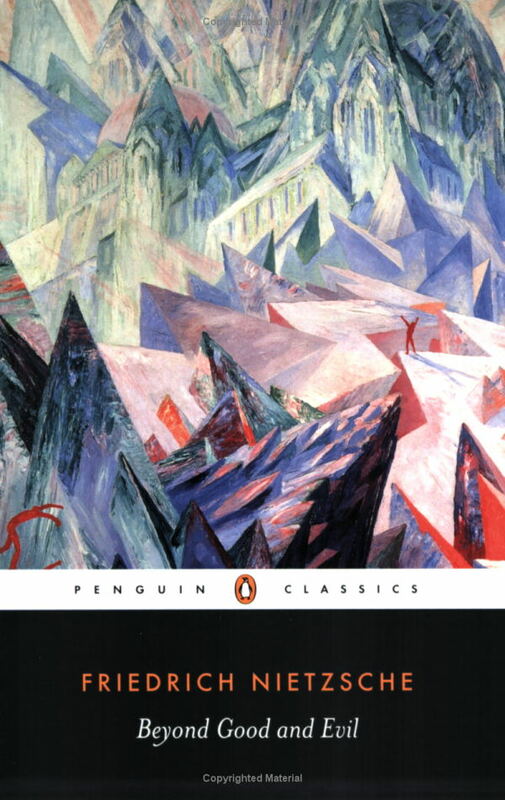 He writes, “Exploitation does not belong to a depraved, or imperfect and primitive society; it belongs to the nature of the living being as a primary organic function, it is a consequence of the intrinsic Will to Power, which is precisely the Will to Life.” Nietzsche contends, “That all the supreme values of mankind lack this ‘Will’, that values which are symptomatic of decline, nihilistic values, are lording it under the holiest names.” In his opinion, traditional philosophy, religion and morality simply represent the masks that a deficient ‘Will to Power’ wears. In Nietzsche’s analysis, the sustaining values of Western Civilization have been sublimated products of decadence using the ‘ascetic’ ideal that endorses existence as pain and suffering. He rejects the concepts of ‘common good’ or ‘common evil’. 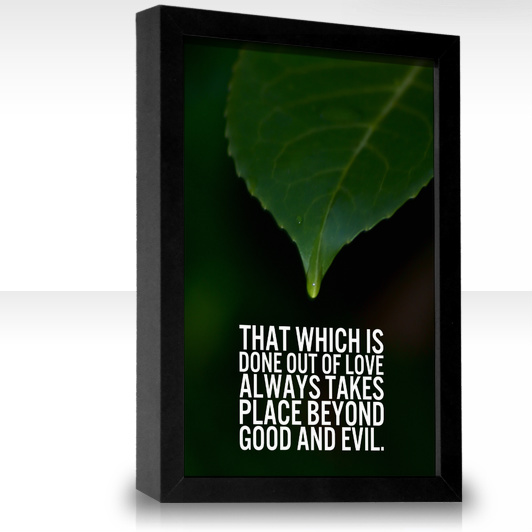 “Absolute good or absolute evil don’t exist, and instead there’s a universal driving force in humans called the ‘Will to Power'(expressed in ambition, greed, social rank, achievement etc.,) that makes it impossible for ‘common good’ or ‘common evil’ to exist.” He further observes, “And how could there be a ‘common good’ ! The expression contradicts it self; that which can be common is always of small value….. the great things remain for the great, the abysses for the profound, the delicacies and thrills for the refined, and to sum up shortly, everything rare for the rare.” In my view, the “Will to Power” and the “Will to Life” are not the same. The “Will to Life” is similar to the Power called Nutrition and it is a ‘common good’ for it relates to the purpose called existence. Spirituality Science – Beyond Good and Evil: In his book, The Genealogy of Morals, Nietzsche interpreted traditional morality using an etymological approach. 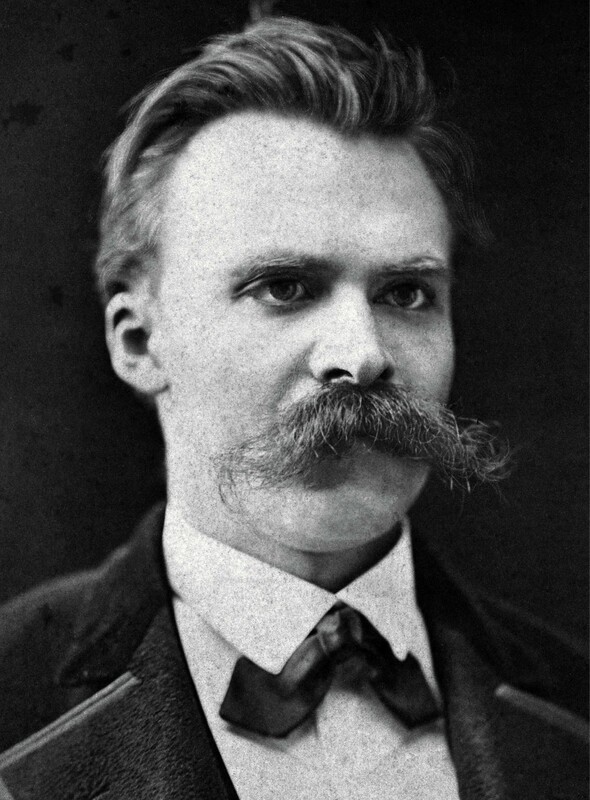 SPIRITUALITY SCIENCE – BEYOND GOOD AND EVIL: Nietzsche’s main concern is about man’s “Will to Power” in the context of human behavior. He has not adequately explored the true or real human nature that is primarily involved in the performance of living functions that shape human existence and self-preservation. But surprisingly, he recognizes the attribute called ‘LOVE’ that operates Beyond Good and Evil. In my view, Nietzsche has not defined the terms ‘man’ and ‘existence’ and hence his perspective on human morality lacks balance. He has failed to make the distinction between human nature and human behavior and actions. I view man as a multicellular organism that is comprised of trillions of individual, independent, living cells. Man is constituted as a biological community of cells and hence there is a need to define ‘common good’ to establish the existence of the Individual who exists because of the living functions performed by all the cells of the human body. When Nietzsche speaks about Actions, he has failed to recognize the actions that are described as ‘Metabolism’ or the living functions that each individual cell performs to keep its own existence. Life is possible because of the intraspecific biotic interactions, the interactions between the cells, the tissues, the organs, and the organ systems that are central to define man as a Physical Being. Man cannot directly rule or govern even a single cell in his entire human body. The reality of cellular autonomy is known to all the students of Biology. Most medical interventions to help man in sickness or health are designed taking into account the problem of cellular autonomy. Man has the primary organic ability to exploit nature because of the ability of green plants to exploit Sun’s energy. Man has no direct ability to exploit Sun’s energy for the purposes of his existence and self-preservation. Even the green plants need the help of microbes to fix atmospheric Nitrogen to synthesize organic compounds. Nietzsche’s claim that a good and healthy aristocracy would be able to elevate themselves to a “Higher Existence” has no merit. In reality, man leads a dependent, mortal existence under the influence called Time. The only hope for “Elevation” in the context of human existence is the operation of God’s Unconditioned Love which does not demand that man must acknowledge the existence of God. The Unconditioned or Whole Love of God always exists Beyond Good and Evil and this Love formulates the ability called Discernment and man makes the distinction between Good and Evil as a tool for his self-preservation. 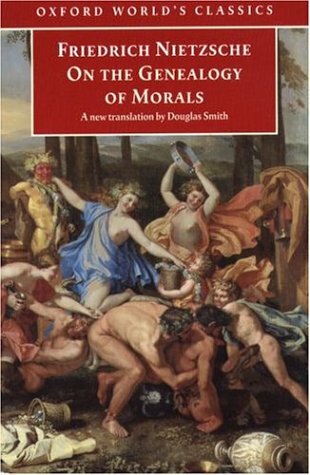 In other words, I may state that man is constituted as a Moral Being and he fundamentally knows the difference between Good and Evil.